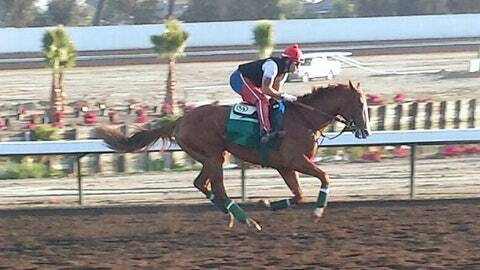 California Chrome looking sharp during a Los Alamitos breeze. If there’s any truth to the adage that absence makes the heart grow fonder, then there shouldn’t be anyone in the horse racing world more excited for this year’s Kentucky Derby than Art Sherman. That’s because the 77-year-old California-based thoroughbred trainer Sherman will be bringing a Derby horse to Churchill Downs for the first time in nearly 60 years when California Chrome takes to the track on May 3. A spry 18-year-old at the time, Sherman was an exercise rider for a California horse named Swaps, and accompanied Swaps, now thought by many to be one of the greatest horses to ever run, on a cross-country train ride to Louisville for the Derby. Then Sherman was there on May 7, 1955, when Swaps blew away most of the field — and even beat out eventual Preakness and Belmont winner Nashua by a length and a half — to win. In 1956, Sherman was back at the Derby working with Terrang, whose 12th-place finish didn’t offer quite the storybook ending that Swaps did in ‘55. And in the more than a half-century that followed — which included more than two decades as a jockey and three as a trainer — Sherman never returned to the Run for the Roses, until now. This year, however, the Sherman-trained California Chrome is thought by many to be the favorite heading into the race, especially after first place finishes in each of his last four races, including a 5¼-length win in the $1-million Santa Anita Derby on April 5. California Chrome also won by 7¼ lengths at the Grade 2 San Felipe Stakes in March and stands atop the leaderboard used to determine the Derby field, with 150 points. He’s going to win the Kentucky Derby. This horse is going to win the Kentucky Derby, not a doubt in my mind. It’s uncommon for California-bred horses to win the Kentucky Derby, in general — only three, including Swaps, have ever accomplished the feat, and no Cal-bred horse has won it since 1962 — but California Chrome’s rise to Derby favorite has been particularly unexpected because of the 3-year-old colt’s unremarkable bloodlines. California Chrome is the first horse bred by owners Steve Coburn and Perry Martin and is the first foal born to Love The Chase, who was purchased as a broodmare prospect for just $8,000, an insignificant sum in the thoroughbred racing world. Though California Chrome’s sire, Lucky Pulpit, saw measured success from some of his other foals, logic suggested that a Derby horse borne of these two wasn’t in the cards. But then California Chrome — called “Junior” by his owners — was born at 137 pounds, and Coburn immediately sensed he might have something special on his hands. The first step in that plan was to hook up with Sherman and his son Alan to join Sherman’s stable of 15 horses at Los Alamitos in Southern California. As a 2-year-old, California Chrome started to show promise, but as a 3-year-old, he’s really come into his own, getting more impressive with each start thanks in large part to Sherman’s training and the horse’s relationship with rider Victor Espinoza. “Art Sherman, as far as I’m concerned, he’s perfect for this horse and Victor fits this horse perfect,” Coburn said. “Everything is just falling into perfect order. 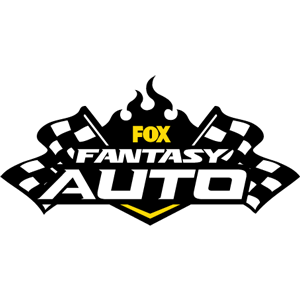 It’s our dream coming true, and this is our first attempt at this. When asked to compare California Chrome with his old Derby-winner Swaps, Sherman generally shies away, though he does call California Chrome “My Swaps” in a way that only sounds half-joking. Still, he won’t go as far as to predict a win at the Derby. Coburn seems to think it is, however, and is already picturing California Chrome — who has his photo hanging in the California state capitol — in the winner’s circle next month. “He’s going to win the Kentucky Derby,” Coburn said. “This horse is going to win the Kentucky Derby, not a doubt in my mind. If he gets a nice, clean pass, he’s done — it’s over with. “There’s the big hype about Candy Boy, how Candy Boy is going to destroy California Chrome. Where did Candy Boy finish (at the Santa Anita Derby)? Third. And Hoppertunity finished second. Those are good horses, they’re fine horses, but they can’t keep up with the speed of this horse. 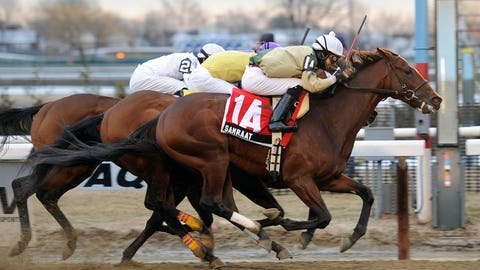 If you look at how he’s run his races, he’s outrun these horses by two, three, four seconds. I just don’t see any speed out there. Cairo Prince, they screwed up with him because they let him lay idle for so long. You get these horses loving the game, and you can’t shut them down like that. And if — or when — he does, Sherman will finally be able to celebrate again, 59 years later.